MOSCOW (Sputnik) - More than 1400 fragments of bodies, as well as 499 pieces of wreckage, have been found so far at the site of the recent crash of an An-148 regional passenger plane in the Moscow region, a spokesman for the crash emergency response HQ told Sputnik on Monday. 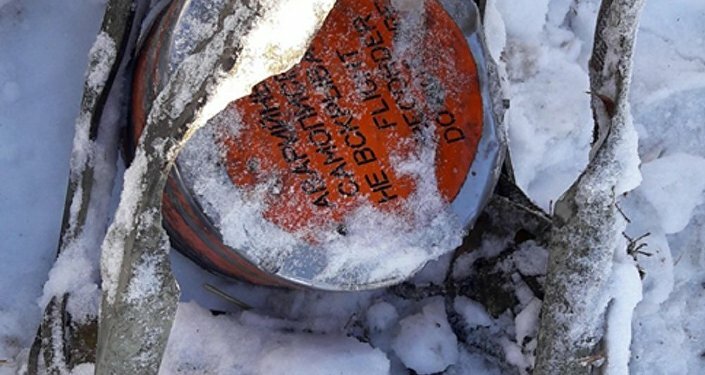 "A total of 1400 body fragments and 499 pieces of the plane wreckage have been found so far," the officials said. Earlier in the day, the Russian Emergencies Ministry told RIA Novosti that 209 fragments of bodies had been found. According to Russian Health Minister Veronika Skvortsova, the search for bodies of those killed in Russia's An-148 plane crash in Moscow region will continue for a week. Meanwhile, a footage showing an explosion after which the plane flies several dozen meters further and then crashes appeared on the Internet. The Saratov Airlines An-148 plane was flying from Moscow to Orsk when it crashed on Sunday a few minutes after taking off from the Domodedovo airport outside the Russian capital. All 65 passengers and six crew members on board died in the crash. According to the list of passengers released by the Russian Emergencies Ministry, two foreign nationals were on board the plane, Ulrich Klaeui, a Swiss citizen, and Namig Gakhramanov, an Azerbaijani national. Responding to the crash, Russian President Vladimir Putin ordered the government to create a special commission to investigate it. Meanwhile, the Russian emergency services' experts, investigators and criminologists are working at the crash site. According to the recent report from the Russian Investigative Committee, the aircraft was intact during its fall, but exploded upon crashing. Speaking of possible reasons, which might have led to the crash of the An-148, mentioned by the Russian Investigative Committee and different media sources, were mentioned pilot error, a terrorist attack, collision with a helicopter, engine explosion and others. Meanwhile, Russian Investigative Committee spokeswoman Svetlana Petrenko told reporters on Monday commenting on the possible reasons behind the tragedy, that "at the time the aircraft fell it was intact, there was no fire, the explosion took place after the crash." At present, about 532 people and over 100 units of specialized equipment are working at the crash site. 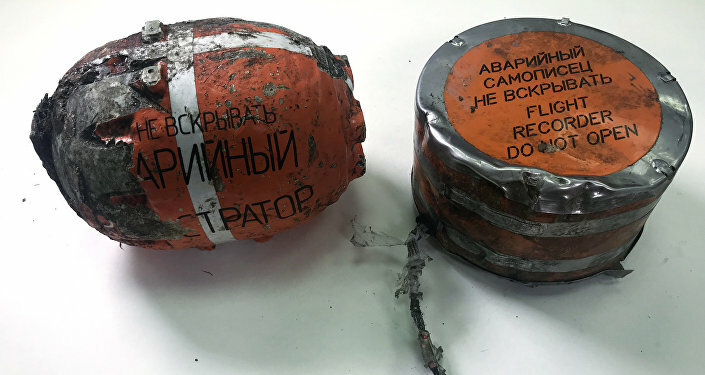 They have already managed to find two of the plane's flight recorders, which were registering parametric data. The search for the plane's voice recorder is underway.